Sir David Frost must be old enough now to qualify as medieval, views and age. Was this the conference he spoke about eGov transformation at? I like the stats. The comment on the usa.gov usage is interesting. You say hardly anyone visits but I wonder if it is the right comparison. The US is much larger than the UK and is split into federal units and I would theorize that people will look to federal portals for their states in much the same way as we look to directgov. I wonder if the comparison is better made of usa.gov to an EU equivalent. Maybe US.gov is simply to high a level. Do you have any stats for the equivalent federal level portals (California.gov sort of thing)? 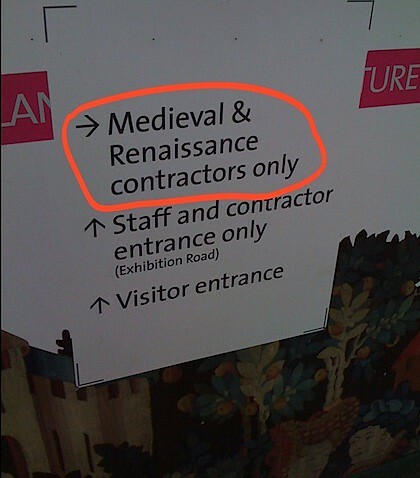 We all know that contracts sometimes over run, but this is ridiculous!